M. Large Tree Services Ltd first started operating as a one-man, part-time business in 1970, becoming full-time in 1980 and eventually becoming a family owned limited company in 1992. Since then M.Large Tree Services Ltd has developed into one of the largest suppliers of new and used forestry equipment in the UK, with over 500 machines sold each year. In addition we have also developed our own range of forestry machinery and accessories under our LMS Design brand which are all featured on the site. 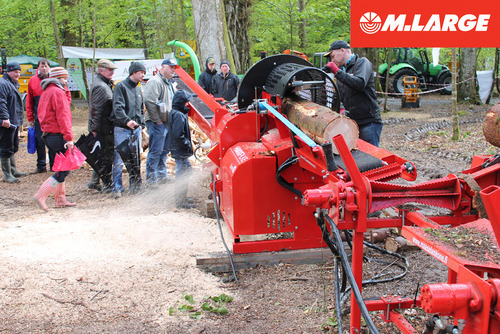 M. Large intend to expand the firewood market by keeping the cost of equipment down, thus encouraging more people into the industry. With a stock of over 300 processors and splitters we are able to supply orders immediately. To book a demonstration or view of one of the biggest ranges of Forestry Equipment in Europe, please click the book a demo button or ring us on.